Perhaps it’s because I’m Australian, but I’ve never really picked up on the mulled wine tradition here in the UK. To me it tasted either too sour or overly spiced and stating the bloody obvious – what’s with warm wine? But things change. A few weeks ago I dragged the boys down to the Cookham Christmas Street Fayre that’s held in the High St in early December. If you’ve never been, the Cookham Christmas fayre is a corker; jam-packed with amazing food stands, a couple of choice rides and plenty of gift stalls and alcohol – the perfect recipe for fun. This year, peer pressure and my desire to adopt the traditions of my new homeland resulted in me giving mulled wine another try. And I’m so glad that I did because I’ve seen the light and it’s spiced and it’s warm. 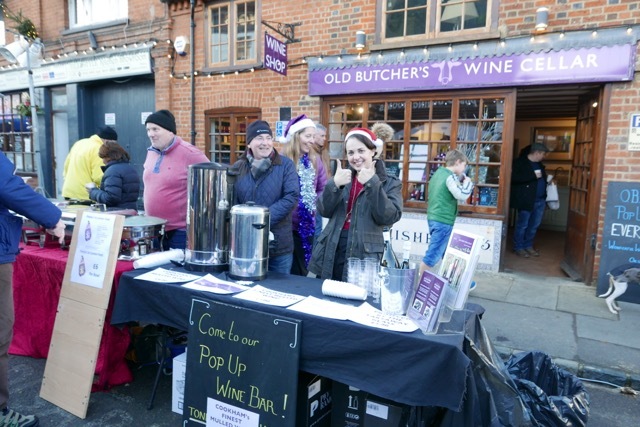 Thanks to the Old Butcher’s Wine Cellar in Cookham, I finally tasted mulled wine the way it’s supposed to be, the perfect blend of sweetness, warmth, spice delivered in a very decent drop of red. When I asked them what their secret was, they very kindly told me the wine they use and shared their recipe for what I believe to be the best mulled wine I’ve ever tasted. Cut up the oranges and place in a muslin with the cinnamon stick, the star anise and cloves. 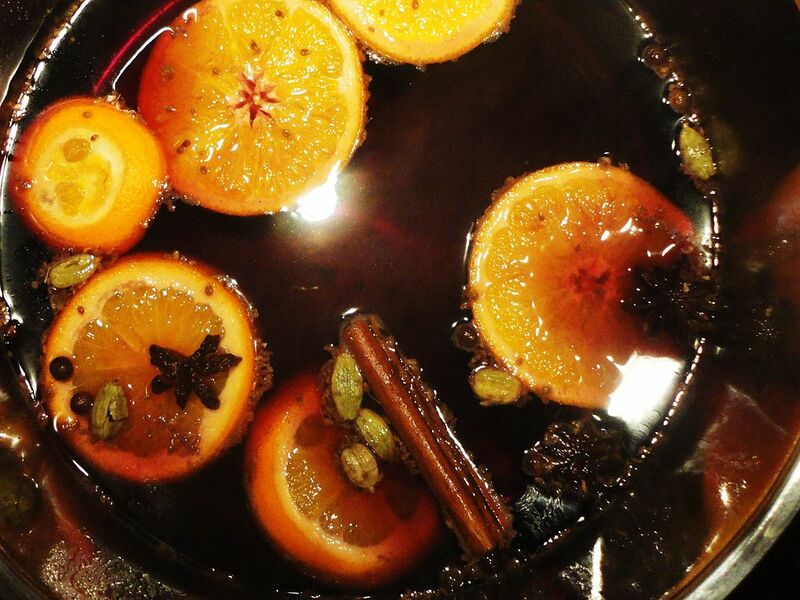 Tie the ends and place in a large saucepan with the brandy, wine, orange juice and sugar. Heat gently and serve with some festive spirit. My hearty thanks to the team at Old Butcher’s Wine Cellar.